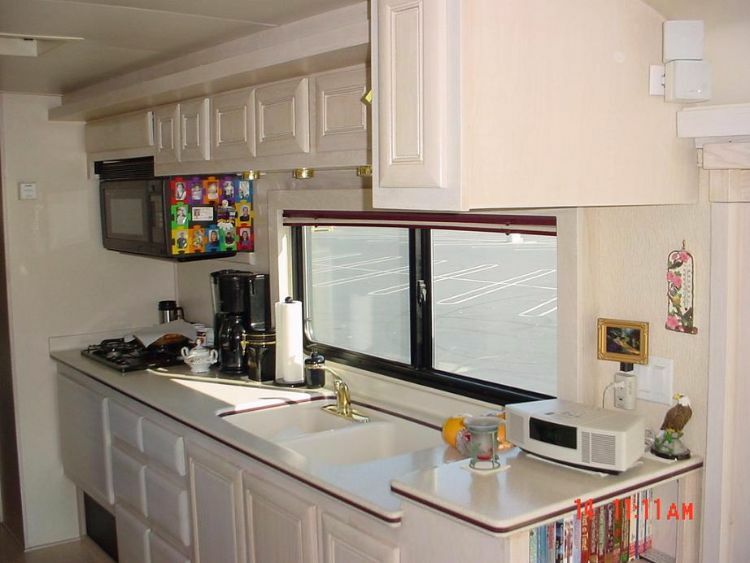 When you imagine a converted bus, you may not imagine a luxurious home on wheels, but that's exactly what this 1981 Eagle van is. With a sleek white and chrome exterior and a sophisticated and elegant white interior, this comfortable, peaceful home just happens to be portable. A powerful engine ensures your trip is safe and smooth, and the amenities promise a cozy vacation that feels just like home. 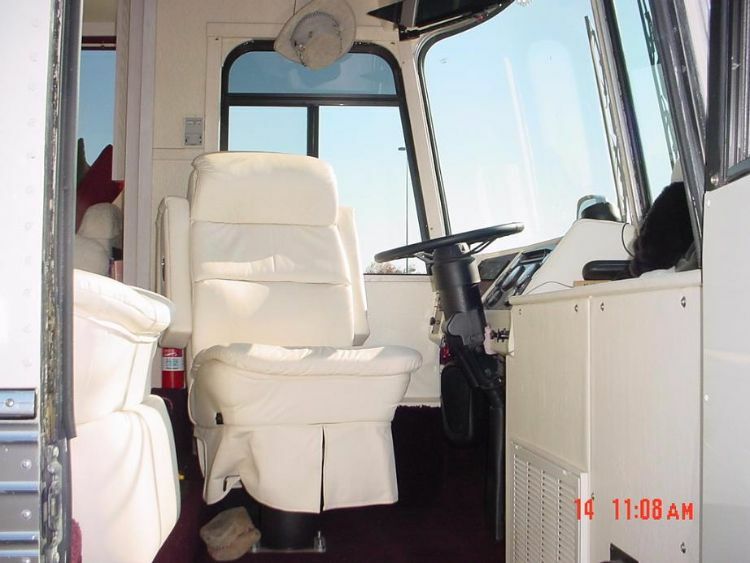 Featuring a state-of-the-art entertainment system along with DVD players, televisions, stereo and a satellite, the bus has everything you need to while away the miles in the most fun and entertaining ways. 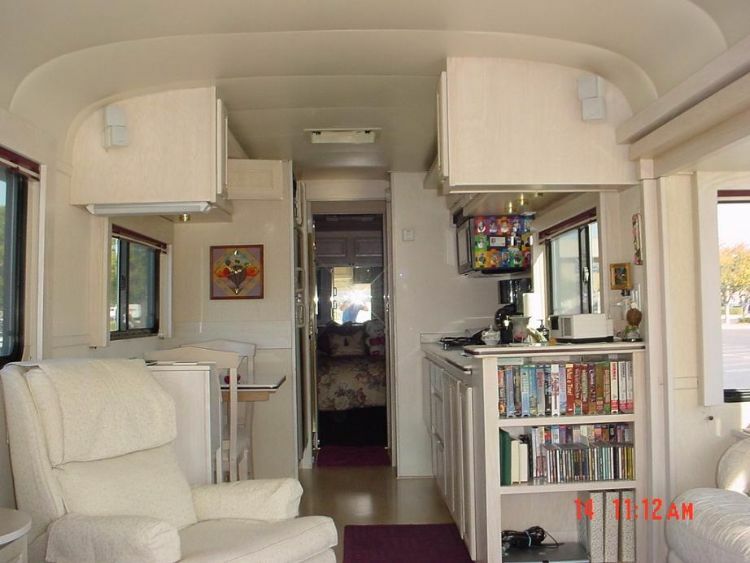 As you climb aboard the bus, you'll immediately be drawn to the overstuffed chairs and couch that make up the living room of the conversion. 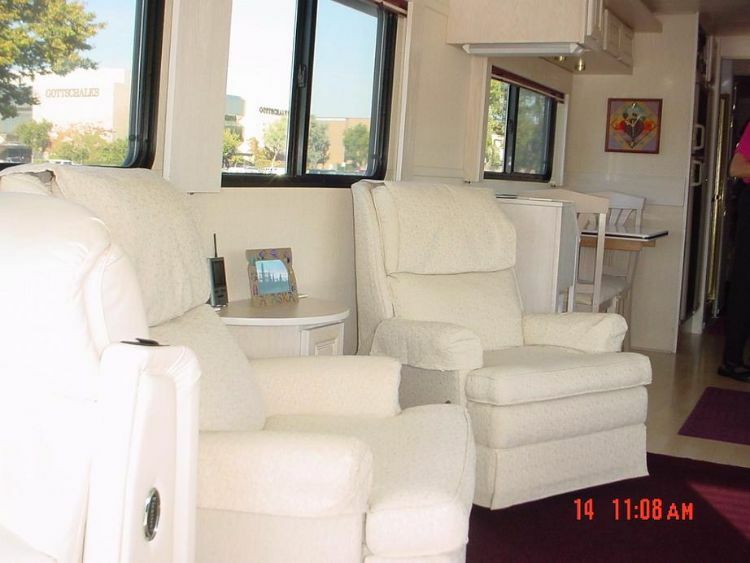 One side of the living area features two rocker/recliner chairs that provide soft seating space for guests. A small table in the center offers a spot for a cocktail, cup of coffee or remote control. 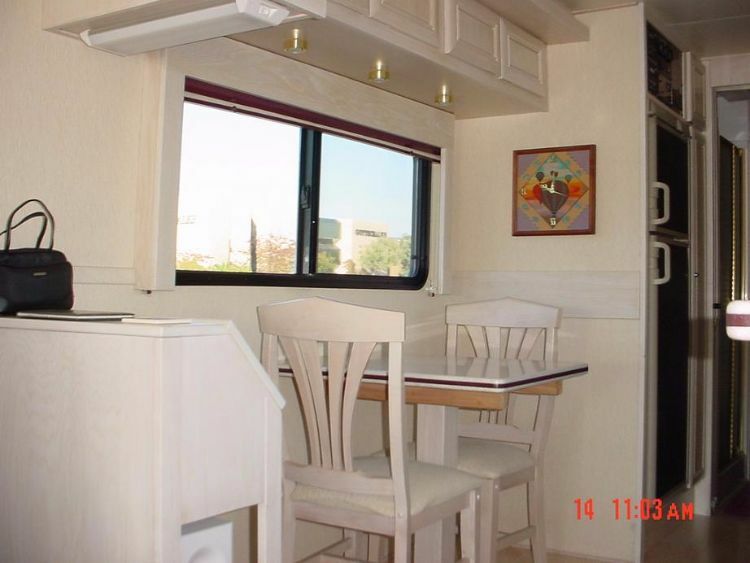 A fluffy couch beckons you from the other side of the bus and sits underneath a panoramic window view. Accent pillows and built-in bookshelves give the space some added color. 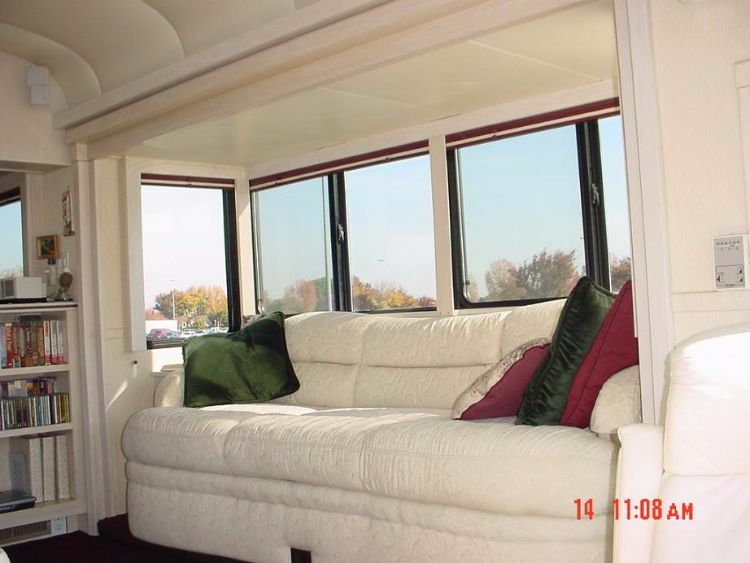 The couch also pulls out into a bed for added sleeping space for visitors. The kitchen offers a microwave/convection oven, along with a propane cooktop, refrigerator and beautiful, gleaming Corian counters. There's lots of storage space for dishes and food with the combination of overhead cabinets and drawers/cabinets underneath the double sink (and shiny gold faucet). A two-person Corian dining table is a sweet spot to eat for two hungry passengers. 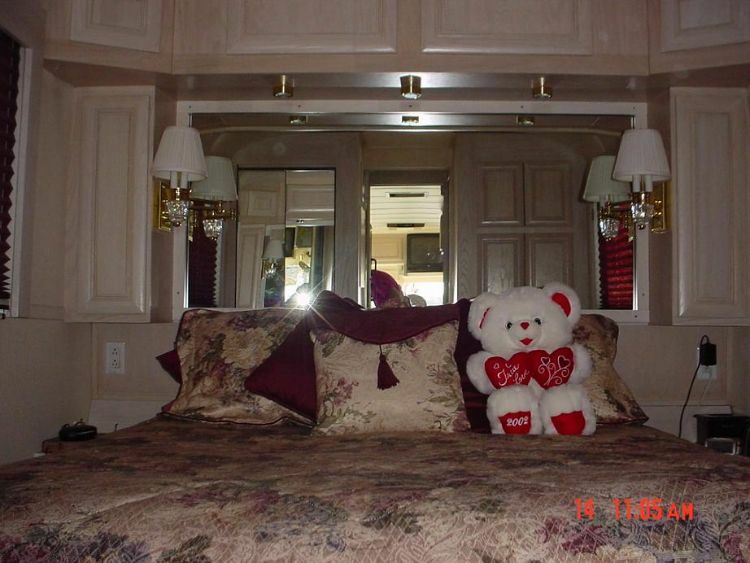 In the back of the bus, you'll find the master bedroom. The bedroom offers lamp fixtures and a hanging mirror behind the bed, along with electrical outlets, a queen-sized bed and lots of storage cabinets above the bed. 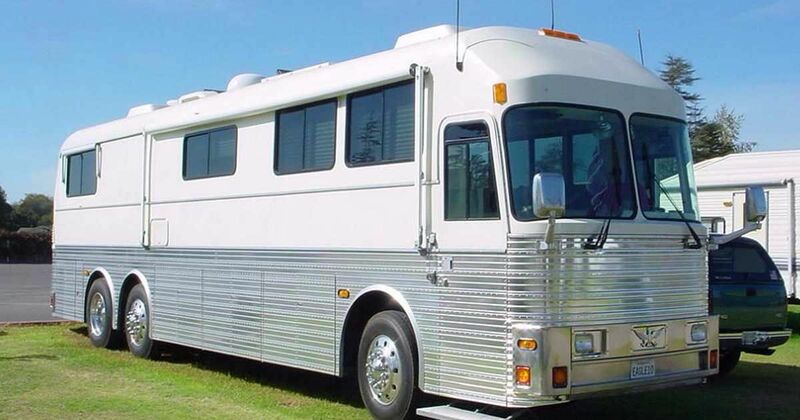 You'll be ready for a road trip once you board this movie-star style bus conversion.